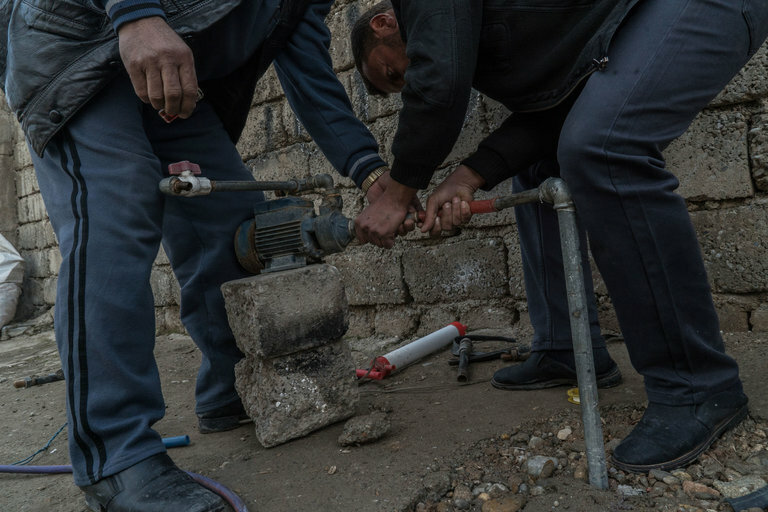 Shamsuldeen Ahmed Saed and Haitham Younis Wahab rigging a small water pump in the Rashidiya neighborhood of Mosul, Iraq. MOSUL, Iraq — The water taps are dry in Rashidiya. 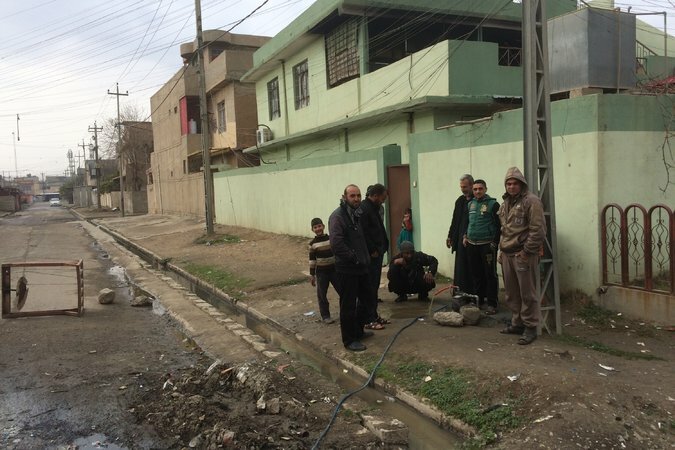 The water and sewage system collapsed in this eastern Mosul neighborhood after 100 days of street combat. On Sunday, Haitham Younis Wahab and his neighbor Shamsuldeen Ahmed Saed decided to do something about it. Out came the sledgehammers, steel pipes and shovels. The two men pounded and dug for three days. Sixteen feet down. Twenty feet down. Nothing. And then, 26 feet beneath the cracked sidewalk, they struck water. After all, they live just a half mile from the muddy Tigris River, which divides eastern and western Mosul. We came across the two neighbors as we walked through the crumbling streets of Rashidiya to find out how residents were faring three weeks after Iraqi security forces had driven most Islamic State fighters from eastern Mosul. Every few blocks was another freshly dug well. Some residents had penetrated worn pavement by pounding a pipe with a sledgehammer for hours and days. Others dug through the muddy earth with picks, shovels or hand-cranked drills operated by two men. Residents of Rashidiya at their homemade well. Mr. Wahab and Mr. Saed had cobbled together sections of hose and a small electric pump for sucking up free underground water. 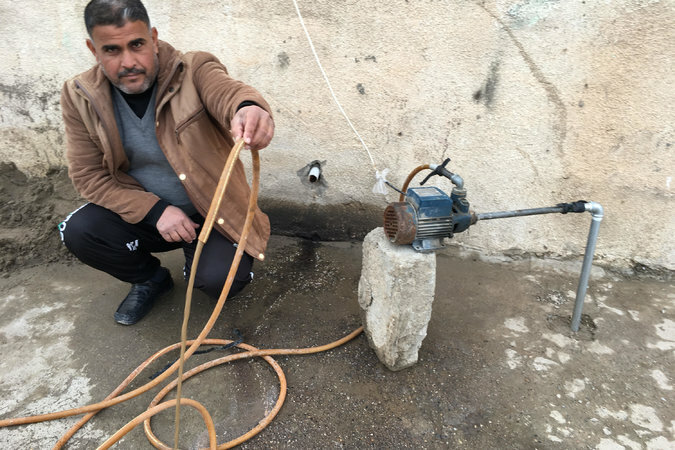 Somehow they had coaxed water up through this jury-rigged system — Mosul MacGyvers making use of the tools at hand. “It took us three days, working every morning and afternoon,” Mr. Saed, 50, said as he and Mr. Wahab struggled to connect the well’s protruding steel pipe to the rest of the contraption with a section of tubing. “We don’t drink the water,” Mr. Wahab, 30, said. It was good only for washing and cleaning dishes, he said. For drinking water, residents buy bottled water brought in and sold by anyone who can reach more secure areas of eastern Mosul, where water as well as fruit, vegetables and other food are readily available. Life in Rashidiya these days requires ingenuity and perseverance. Because the electric grid has been knocked out, several entrepreneurs have set up diesel generators and are charging residents to hook up their homes. Just down the street, Dhahir Hasan, a burly 32-year-old, cranks up an ancient, oily diesel generator twice a day — from 2 p.m. to 5 p.m., and 6 p.m. to 9 p.m.
Dhahir Hasan runs a diesel generator twice a day, supplying electricity to local residents. 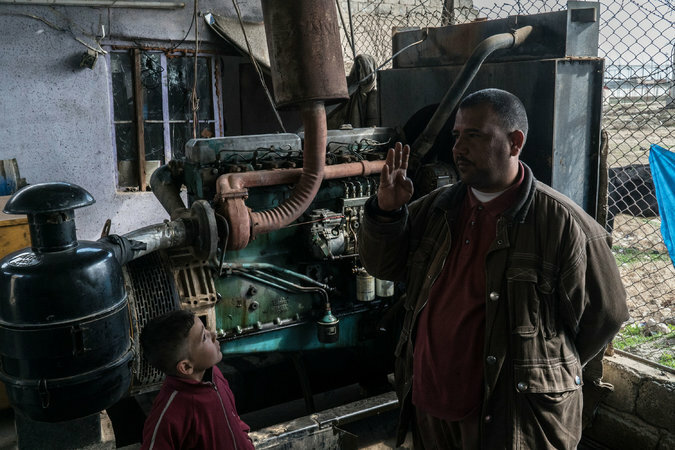 Mr. Hasan said he gets 300,000 Iraqi dinars a month, about $235, from the owner of the generator, who charges local residents 9,000 dinars, about $7, per ampere per month to hook up their homes. Most homes require at least three amperes a month, Mr. Hasan said. That comes to roughly $21 a month for many families in an area where most people have lost their jobs. Abu Mohammed, 70, was not happy about paying generator fees for power a few hours a day. 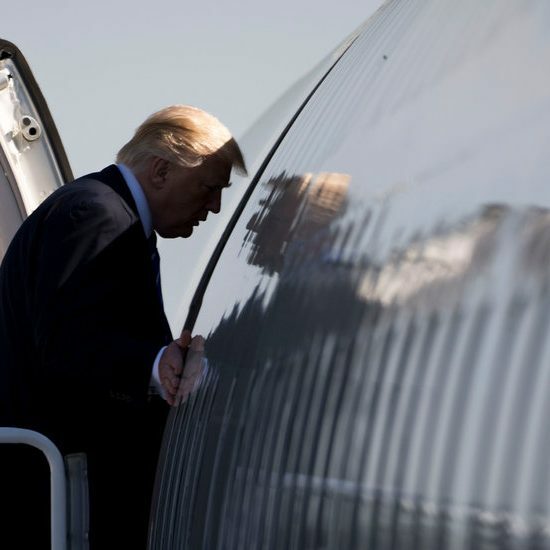 He was also frustrated by something else: He and his son had hit water after gouging out a hole 33 feet deep, but the water they got was hardly worth it. 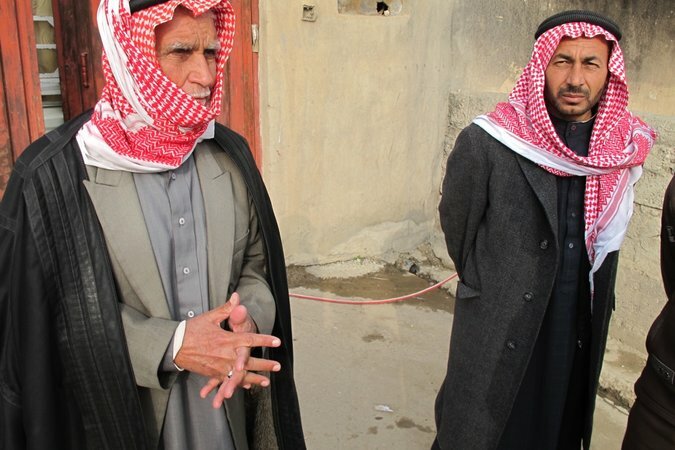 Abu Mohammed left, and his son, Abu Mahmoud. “It smelled awful and we couldn’t use it,” he said. Mohammed Jameel, 41, had better luck. For days, he pounded a pipe into the ground and finally hit water about 26 feet down this week. He was holding a hose, letting sluggish brown well water run into the gutter. Mohammed Jameel finished his well on Tuesday. The murky water was gritty and left behind a gray residue. 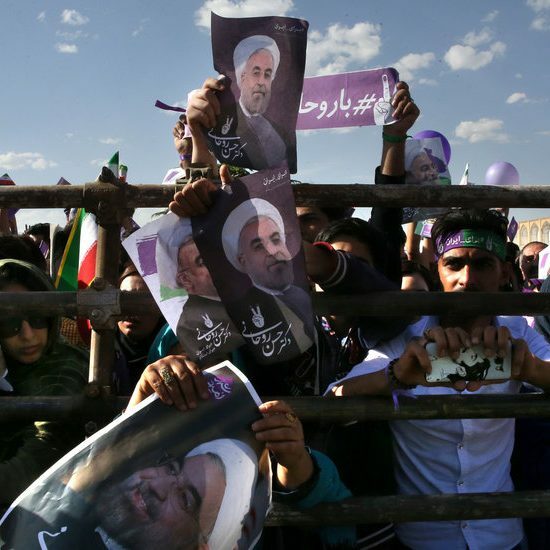 “We have to let it run a long time before it turns clear,” Mr. Jameel said. Two streets away, Mahmoud Yunis, 33, a powerfully built former police officer with a pair of pliers tucked into his belt, yanked on a hose connected to a 30-foot-deep well he had dug. He said water had trickled out of the hose for five minutes, then stopped. Mr. Yunis chatted amiably for a few minutes, then sent me on my way. He pulled out his pliers and went back to work.